If you are planning to remove dormant companies from your group, there is always a concern that the group might lose valuable assets in the process. This is because when a UK company is dissolved, any assets belonging to the company at the point of dissolution will vest in the Crown as ‘bona vacantia’ (abandoned property). Of course, the first line of defence is due diligence. This should include checking financial records and statutory filings, and perhaps also reviewing historic board minutes and issuing questionnaires to relevant functions and individuals within the organization. However, this can only take you so far, and it’s impossible to prove a negative conclusively. In some cases, the people who knew about the company will have left the group, and it can be difficult to get a handle on a company’s history. 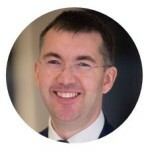 The problem is particularly acute for ‘hidden’ assets like unregistered land, the benefit of restrictive covenants and other contractual rights, which won’t appear on any official register. One piece of comfort is that it is possible to restore a company to the register after it has been dissolved. Except in the case of a personal injury claim, an application must be made within 6 years of the date of the dissolution. 1. A ‘sweeper’ deed of assignment can be entered into before strike off or as a distribution in kind in a liquidation. This would transfer whatever assets the company has to a surviving company. The assignment can contain a ‘further assurance’ clause saying that the transferor company must execute whatever other deeds and documents may be required to perfect the transfer. This can be backed up by a power of attorney granted by the transferor company in favour of the surviving company. If this power of attorney is expressed to be irrevocable and given by way of security for the performance of the transferor’s obligations, then it can survive the dissolution or winding up of the transferor. This is a fairly standard approach. The advantage of a cross-border merger is that there should be no risk of assets being ‘left behind’. The procedure does involve court applications in the UK, but if the group concerned has a number of UK companies which can be dealt with at the same time, then the unit cost should reduce considerably. If the destination company is the overseas entity, then the cross-border merger procedure can be used for multiple UK companies with a single court application. If the destination company is to be a UK company (which may often be preferable), then the UK regulations are somewhat less clear, but the issue could be resolved in a preliminary court application. It is unlikely that any third parties could be prejudiced, particularly if the companies have been dormant for a number of years, so it’s hard to see why the court would object. 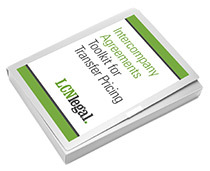 For more information about cross-border mergers, click here. Neither of these solutions is bullet-proof – but then, life is not like that. But they can often give the additional comfort required to go ahead with a corporate simplification or legal entity reduction project, and achieve ongoing cost and governance benefits.